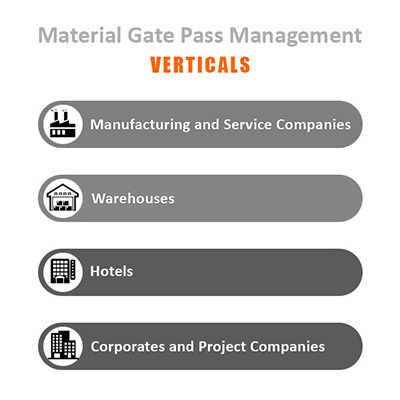 Returnable Gate Pass is issued when a material both exits the main gate and returns back to the company and also when a material enters the main gate and then exits the main gate. A returnable gate pass can have both inward and outward purposes. Inward Returnable Gate Pass, for instance, is issued when a material is rented where it will enter the main gate and also exit once the rent is over. Examples are samples and rental materials. Outward Returnable Gate Pass is issued when the materials of the company exits the main gate and returns. For instance, the company materials that need repair will be issued outward returnable gate pass for it to go outside and then return once it is repaired. A manual material management system that uses RGP and NGRP faces multiple problems like no data reference, difficulty in computing the quantities, inability to track the materials at every stage and till the end, and minimal or no sharing of information between departments. Copyright � 2014 Cogent Innovations (P) Ltd. All Rights Reserved.